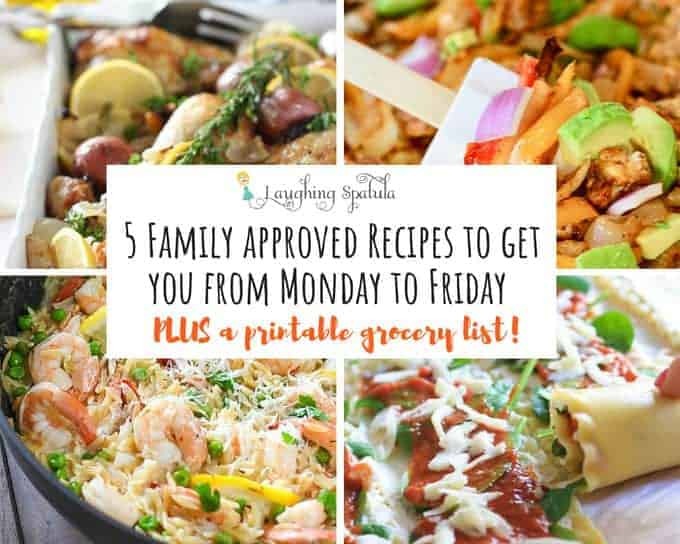 5 Weeknight Meals to Get You From Monday to Friday: Plus- they’re perfect for back to school meals! It’s back to school for most families, which means hectic nights, busy days, and hungry kiddos. But- fear not! Laughing Spatula has ya covered. Here’s 5 recipes for Monday through Friday to get you through that first busy week of almost Fall. 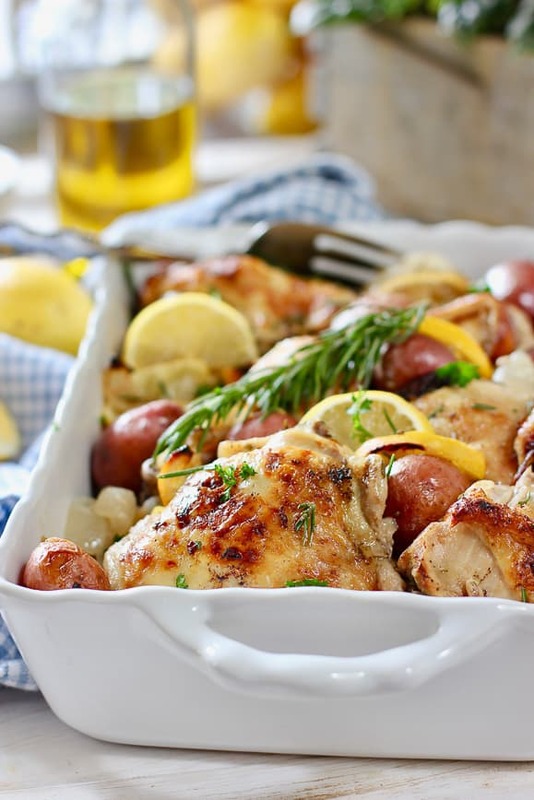 WE LOVE OUR EASY WEEKNIGHT MEALS! We’ve even included a printable grocery list to make all of these recipes, so it’s as simple as can be for you! Buy on Sunday, make Monday through Friday- easy peezy! Download our printable shopping list HERE! We’ve condensed all of these ingredients together to make it easy, AND cost effective to make these weeknight meals! Mondays call for easy. You’re tired, hungry, and just need some time on the couch. Throw this in the oven and you’re good to go. No mess, no fuss, but tons of flavor. A little something to spice up your week- it’s almost hump day after all! 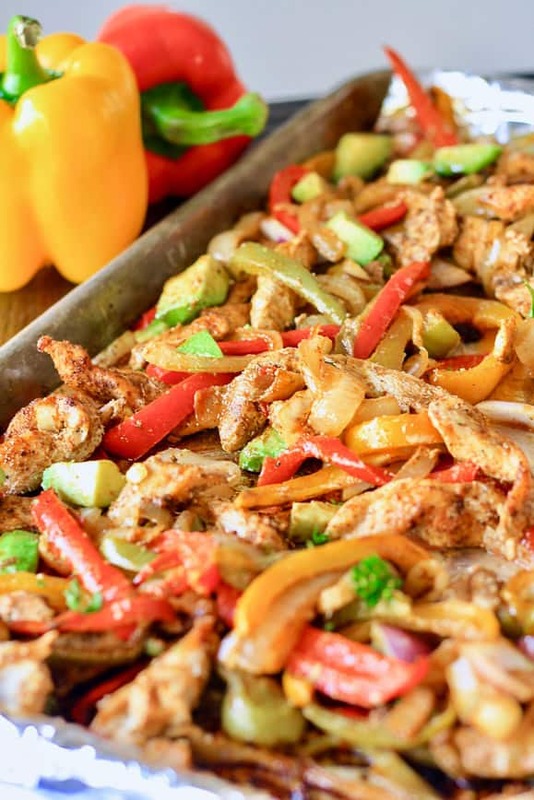 These Sheet Pan Fajitas are a cinch to make; easy, fresh, and you can put them on top of salads, in tortillas, or even in a quesadilla. We like to make them into burrito bowls with our Easy Spanish Rice! A recipe the kids can help with! 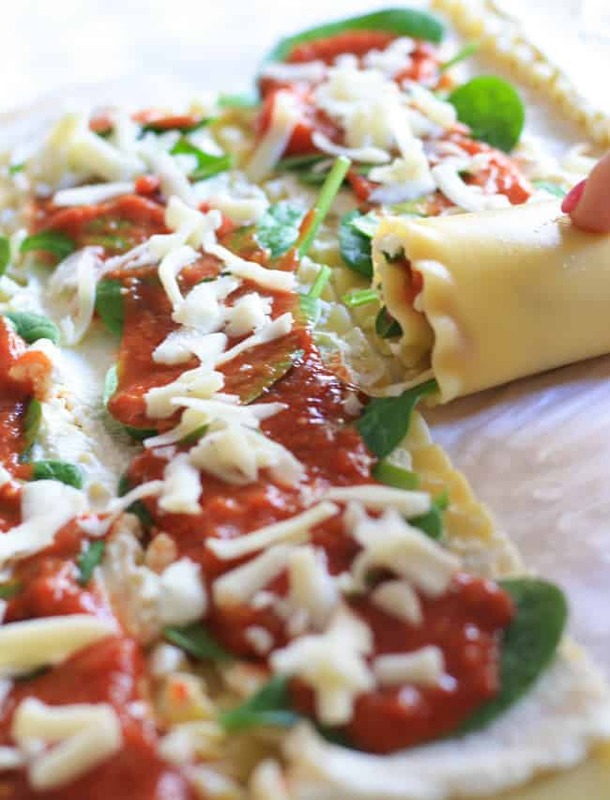 Lasagna is boiled, and rolled up with ricotta and spinach then topped with mozzarella. A super easy meal! We recommend boiling the noodles on Sunday, so you don’t have to do the work on Wednesday evening, but whatever floats your Lasagna Roll Up! Something easy, with protein, that the whole gang will love. 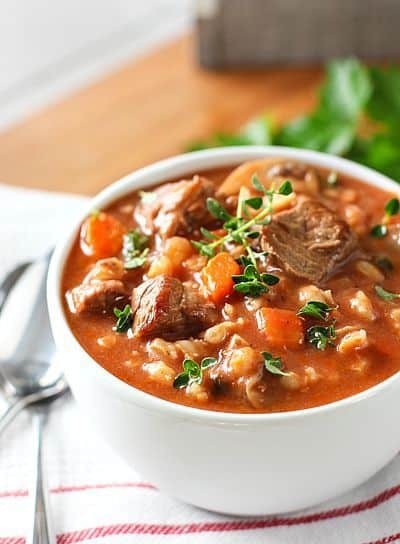 Heck- you could even just make a pan of this and keep it in the fridge, it’s that good and it heats up great! 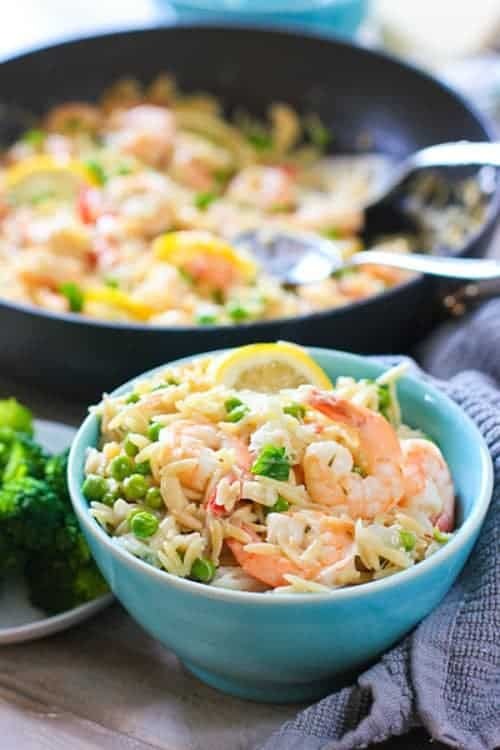 Shrimp, peas and orzo are cooked in 1 skillet and tossed with a simple garlic sauce for an easy, simple but delicious meal. Bonus- No big mess. Woohoo! Almost Friday, fam! Hey Foodie Friends- We want to hear from you! What do you think about this grocery list format? It’s a new thing for us- we’re trying to make our readers lives with cooking as simple as we can. Please send any feedback to contact@laughingspatula.com or connect with us on Instagram @Laughingspatula! 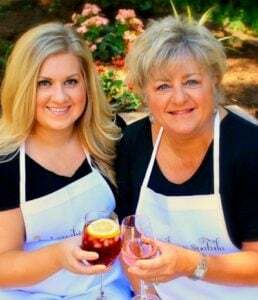 As always- we love to see your recipe pics! 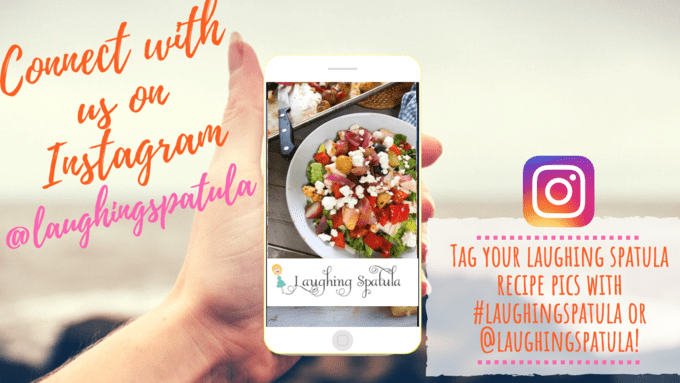 Tag us @laughingspatula or #laughingspatula so we can see your versions of our recipes! 5 Recipes and a grocery list is a dream come true, even for a single gal this is BRILLIANT!